On the 21/09/18 Cora Staunton, an Irish sporting legend known for playing ladies intercounty football with Mayo and AFL with the Sidney Giants came to visit our school. 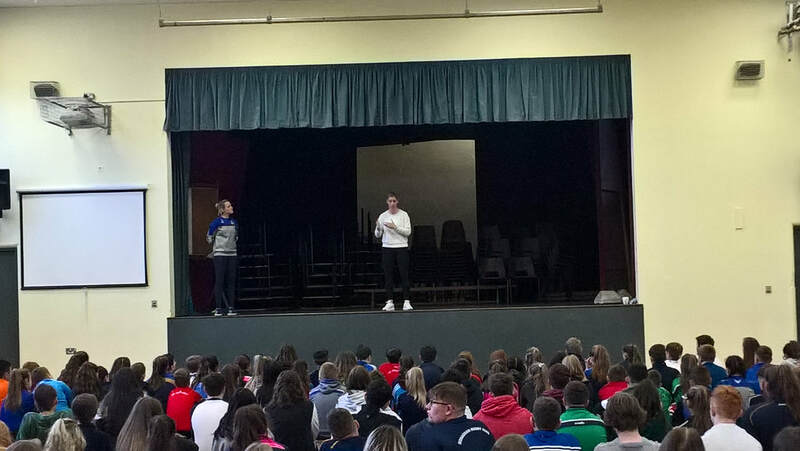 All 1st,TY and 5th year students were invited into the hall for a talk given by Cora during assembly. 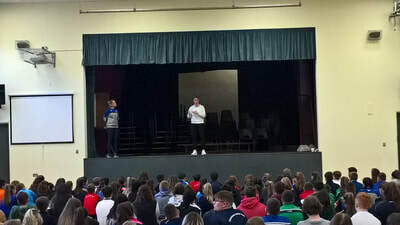 She talked about her journey this far in her Sporting career and gave us an insight into both her sport and personal highs and lows which was very inspirational. Cora told us about how she was chosen to go to Australia and play a new sport with The Giants and how she had to follow a very strict regime in terms of training on and off the pitch while also leading a very healthy lifestyle with good eating habits. 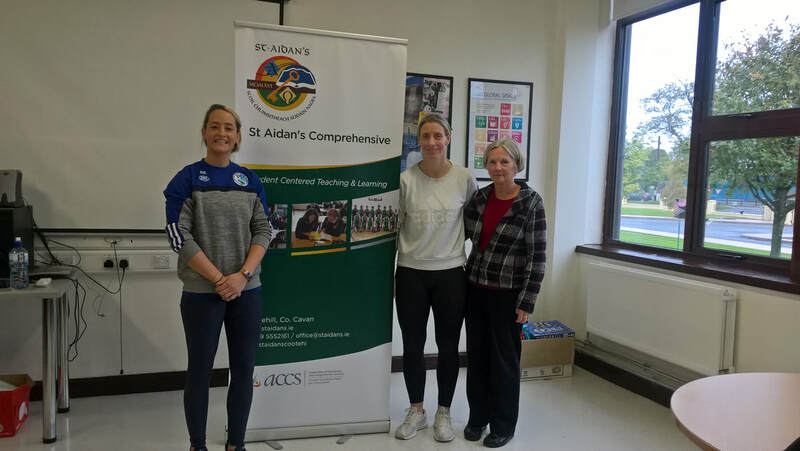 Cora gave us an insight into her life as she progressed through primary and secondary school fast becoming one of Ireland’s best ladies Gaelic football players to have ever played the game while also balancing the many tough issues thrown at her in her personal life. 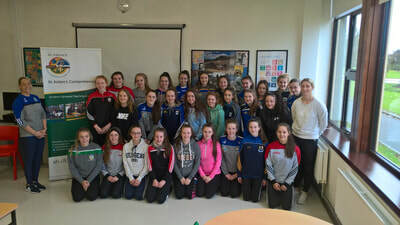 About 30 girls from our school football team signed up to take part in a workshop with Cora for the rest of the day. She gave us a lot of good advice. We talked about healthy diets in order to provide the proper fuel needed for our bodies before and after exercise. We also talked about respect, responsibility and trust within a team. She told us to never give up, to set our goals and see them through to completion. After school, the senior and U16 girls gaelic team members stayed back to do an hour training session with Cora. We learned many new skills from the drills which she also includes in her own training. It was very informative and beneficial. Many girls will carry Cora’s advice with them into the future. The girls are looking forward to hearing from Cora again in her second visit.